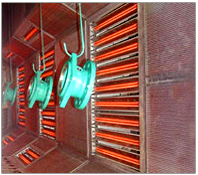 Important in the design of infrared emitters for industrial, rapid drying is the matching to the absorption of the material of the infrared emission characteristics of the emitter.The infrared absorption characteristics of the material must therefore be known in advance. 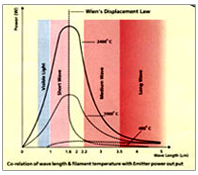 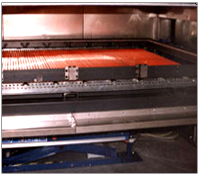 In practice many materials to be tried or heated have a maximum absorption for infrared between 2.0 and 3.6 micron. 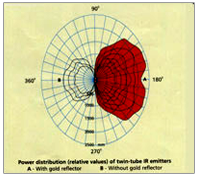 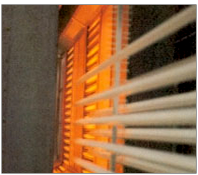 For most industrial applications our medium-wave infrared emitters are recommended. 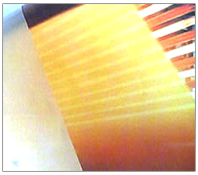 The quartz glass envelope transmits the infrared radiation up to a wave length of 4 microns and protects the filamentsThe actual infrared sources from convective cooling, thus making possible high heating efficiencies.